Do you want your business to flourish in the year 2017 and beyond? 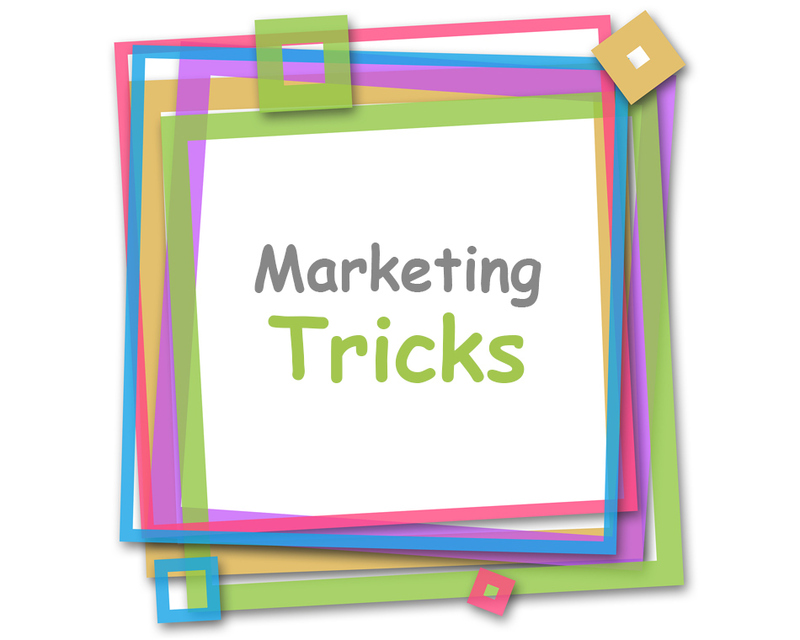 Here is a bag of marketing tricks that could help you get some magical results. Understand your customer: Understanding your customer is the key to successful target marketing that gets the results you want. Understanding your customer means understanding demographic variables such as age, gender and income as well as psychographic and behavioral variables such as what motivates your buyer and what makes her happy. Before launching a product, service or solution you really need to know whether you are redressing a genuine pain point in your target audience. For example, if you decide to launch a new baby food product then it is important to interview mothers to ascertain what exactly their nutritional requirements are. You need to ask open-ended questions that allow the mothers to share with you their genuine problems. If you find that your baby food does not fulfill the genuine gap in the market or if you find that the customer is unwilling to pay the price that will make it worth your while to produce the good she requires, then it is time to re-think your original idea. Prototyping and Test Marketing: Before you spend millions on full-fletched marketing of your idea, it is advisable to build a prototype of your product and test market it. You need to make sure that the sample you choose for test marketing is truly random. For example, if you plan to launch a new restaurant and your sample consists of only your facebook friends, then this is not an adequate sample. It is definitely convenient to choose your friends and relatives but in order to get a true picture of your market potential, you need to take a random and unbiased sample. Focus your money, time and energy: If you try to market your product, service or solution to everyone, you will end up marketing it to no one. As your time, money and energy are scarce, you need to focus them for optimal results. The trick of the trade is to determine which marketing sources generate the most convertible leads for your business. According to the Pareto Principle (also known as the 80:20 rule), eighty percent of your sales come from 20 percent of your marketing sources. This principle has obvious implications for target marketing. You need to identify and optimize your high return marketing sources. For example, if through a call tracking report you find that most of your sales resulted from a free facebook post rather than a very expensive TV ad, then you know where you need to invest your future marketing dollar. Break Barriers to Trial: In some cases, especially if you are confident about your product’s worth, it is a good idea to give free samples or trial offers. For example, Avidtrak offers credit in your account to test their call tracking This offer is free of any obligation to buy. The cost of the free sample offered in this way is more than offset by the increase in sales and brand loyalty. Form strategic alliances: Specializing in your core strength and forming strategic alliances with industry partners can effectively help you compete. For example, if you are an event manager, then you could form a strategic partnership with a food supplier. Customer as Partner: Superior Marketing entails treating your customer as a partner in your company. Companies such as Threadless have set the trend in this approach. Threadless relies on its customer base to submit designs for T-Shirts. The customers select the best designs through an online voting process and these are manufactured and sold by the company. Empirical research shows that when the consumer is involved in the process of crafting a product, service or solution, she is willing to pay a higher price for it than otherwise. Establish Rapport: Even if you do not go to the extreme case of involving the customer in the manufacture of your product, it is important to establish a two way communication process. A personalized message in which you listen to your customer first and then communicate with her can work much better than the more expensive one way ad. The modern buyer is savvy and wants her informational needs fulfilled through dialogue. All in all, then the trick of successful marketing lies in genuinely understanding and fulfilling your buyer’s needs through personalized solutions. Focusing your time, money and energy on the marketing channel that your target buyer uses is the only way that you can successfully beat the competition in the emerging business landscape.